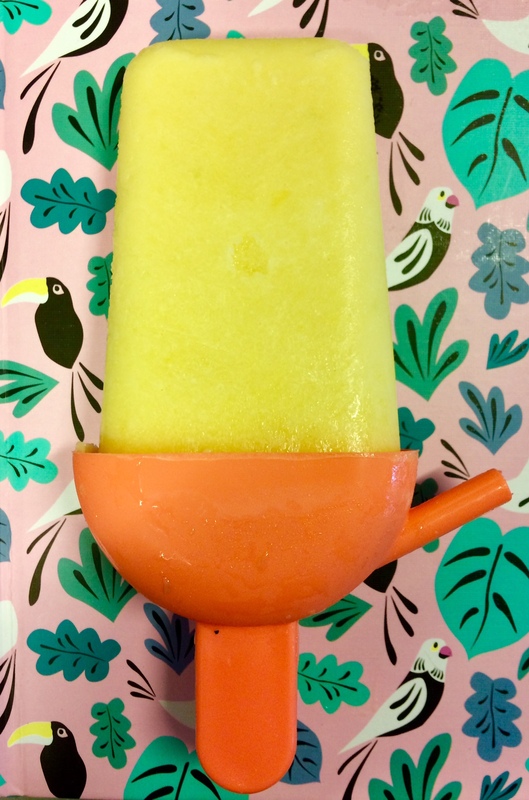 The Mango/Coconut/Lime Pops that I made this week were a big hit. To be honest: I didn't expect something else. Ice Pops are among the very favorite foods of my two daughters. The win for me in this case, is that the pops are completely made of fresh fruits. While ice pops are one of the favorite foods of my daughers, a favorite of mine is rhubarb. Rhubarb is one of many that my beloved grandmother grew in her vegetable garden and when I think of rhubarb, my grandmother pops into my head immediately. I'm a vegetarian and am always on the lookout for renewing recipes. 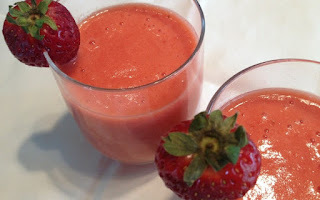 I follow a Dutch blog, called De Hippe Vegetarier (meaning The Trendy Vegetarian) and that's where I found this delicious recipe for Rhubarb Raspberry Smoothie. My grandma also loved rhubarb and made the best cobbler, I'll have to try the smoothie. Homemade pops are always great. Thanks for sharing at Merry Monday. Hope to see you at the party next week! Thank you so much for sharing your iced pops with us at the Whimsical Wednesdays Link Party! They sound so good. Love that they are made with all fresh fruit. Delish! Nothing like a fresh fruit popscicle in the hot summer sun. Thanks so much for sharing with us at the Summer Time Fun Linky. Pinned.